By Looking around you might notice that every other person around you is suffering from some sort of back pain. You can’t help but wonder if your lifestyle is appropriate for a healthy back? Working a 9-5 job means that you sit all day, hovered over a desk, working. Sitting puts 40 percent more pressure on your spine than standing does. To avoid back pain in this case is to get up every 45 minutes and stretch or walk around, get up to get a glass of water. This is going to help you deal with your back pain. The angle of your driving seat should be 90 degrees. This will help in reducing your back pain. Leaning back in your driving seat causes more distress to your back. So sit up straight while driving! When suffering from back pain, we think that it’s healthier to stay more in our bed. It’s the opposite; staying in bed and resting will cause more back pain, exercising is going to take your back pain away. For speed healing you can start with yoga and walking. Your purse should not weigh more than 10 percent of your body fat. If your purse is holding anything and everything you are likely to make your back ache. So try keeping your purse light! Eating a diet of fried foods, sodas and junk food is the worst thing you can do for your back pain, resulting in clogged arteries. An obese person should get rid of the excess fat to have a happy healthy back. Other factors include sleeping on an old mattress, your mattress should be replaced every 5-7 years so that your spine stays in an aligned position, High heels are a big NO if you are suffering from back pain, it is only going to contribute more to it, A lot of stress, Watching too much TV and lastly ignoring back pain is never a safe option. 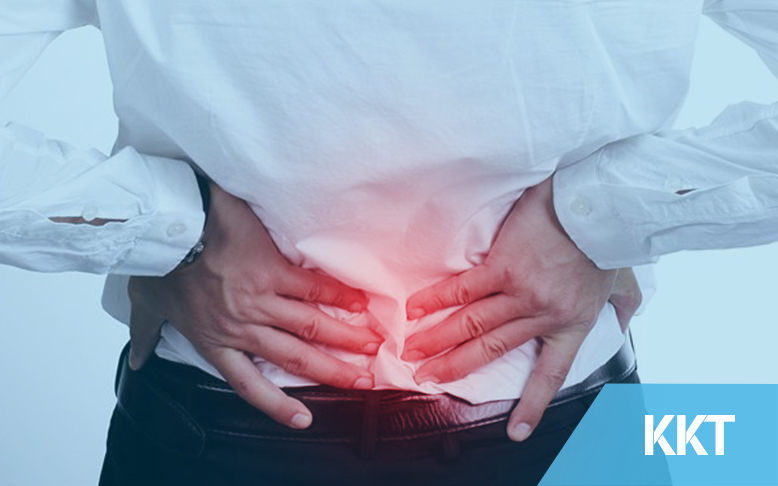 If you are the type of person who is scared of getting a surgery and has a low pain threshold should visit KKT Orthopedic Spine Center, because we treat diseases without any pain, medications and surgery. Book your appointment straight away!